NEW YORK (Reuters) -- General Motors Co. will look to sell just over $10 billion worth of common stock and $3 billion of preferred stock in an initial public offering that would shift the U.S. government to a minority shareholder in the top U.S. automaker, people familiar with the matter told Reuters on Monday. GM expects to sell 365 million common shares for $26 to $29 each and will file the terms in an updated prospectus with the U.S. Securities and Exchange Commission, the sources said. GM, which emerged from bankruptcy in July 2009 with the U.S. Treasury as its majority shareholder, is likely to sell a combined $1.5 billion to $2 billion stake to four or five sovereign wealth funds, one source said. The sources declined to be named because the preparations for the IPO are not public. The IPO would allow the U.S. Treasury to reduce its nearly 61 percent stake in the automaker to 43.3 percent, excluding the overallotment option, one of the sources said. The governments of Canada and Ontario are expected to sell down their stake to 9.6 percent from 11.7 percent and the UAW retiree health care, or VEBA, trust is expected to sell down its stake to 15 percent from 17.5 percent, that source said. GM is expected to begin its IPO road show on Wednesday. It is expected to price its IPO on Nov. 17 and begin trading on the New York and Toronto stock exchanges on Nov. 18, the sources said. The filing comes days after GM announced moves to strengthen its finances, including repaying $2.1 billion to U.S. taxpayers and making early payments to pension and retiree health plans. GM will have two groups for the roadshow whose stops will include New York, Boston and key financial points in Europe, Asia and the Middle East, the sources said. 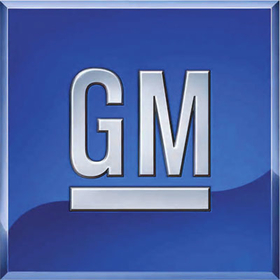 CEO Dan Akerson plans to shuttle between the two groups to be led by top GM executives, one of the sources said.